If there is one genre that has captured the imagination of people in all walks of life throughout the world, it is the fairy tale. Yet we still have great difficulty understanding how it originated, evolved, and spread--or why so many people cannot resist its appeal, no matter how it changes or what... read more form it takes. 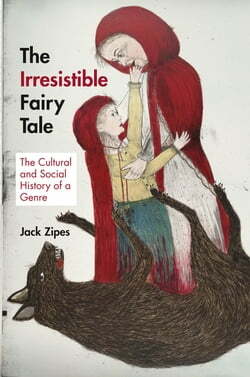 In this book, renowned fairy-tale expert Jack Zipes presents a provocative new theory about why fairy tales were created and retold--and why they became such an indelible and infinitely adaptable part of cultures around the world. Drawing on cognitive science, evolutionary theory, anthropology, psychology, literary theory, and other fields, Zipes presents a nuanced argument about how fairy tales originated in ancient oral cultures, how they evolved through the rise of literary culture and print, and how, in our own time, they continue to change through their adaptation in an ever-growing variety of media. In making his case, Zipes considers a wide range of fascinating examples, including fairy tales told, collected, and written by women in the nineteenth century; Catherine Breillat's film adaptation of Perrault's "Bluebeard"; and contemporary fairy-tale drawings, paintings, sculptures, and photographs that critique canonical print versions. While we may never be able to fully explain fairy tales, The Irresistible Fairy Tale provides a powerful theory of how and why they evolved--and why we still use them to make meaning of our lives.